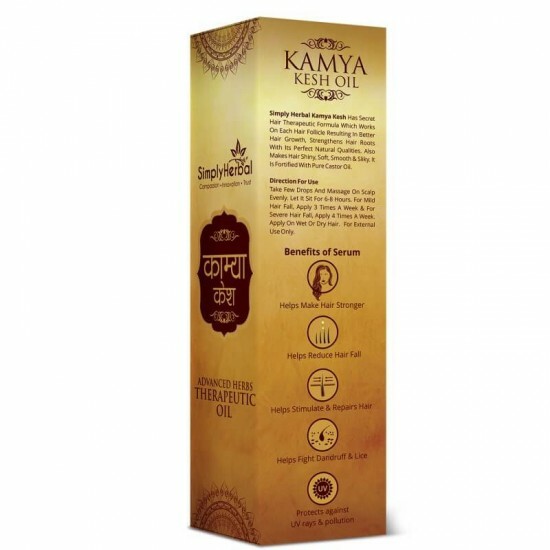 WHY IS SIMPLY HERBAL KAMYA KESH ADVANCED HERBS THERAPEUTIC OIL BEST? Simply Herbal is aware about the most basic requirements of its treasured customers. 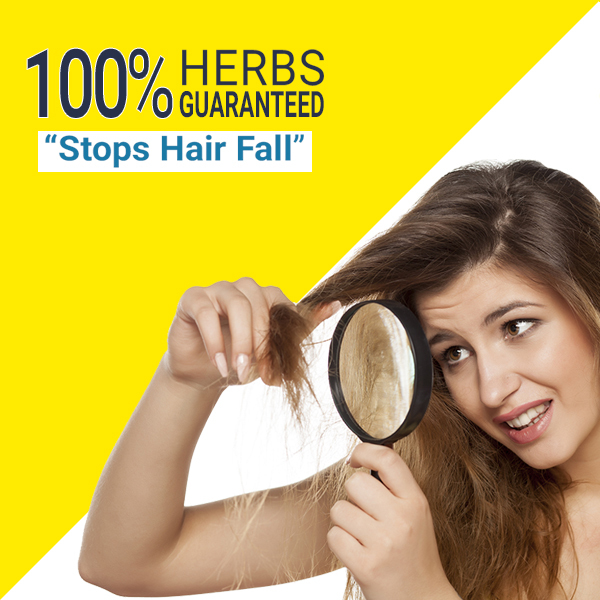 This has led to tremendous research and tests of a hair oil that will not only help fight dandruff, hair fall, lice, UV rays, pollution, and dirt but also make hair stronger, longer, shinier at the same time. 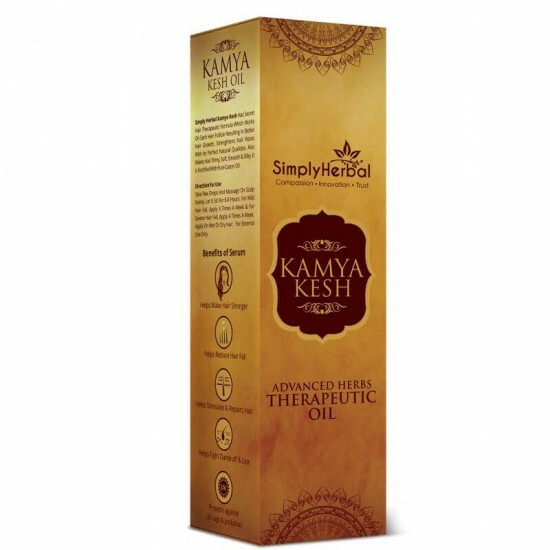 Simply Herbal Kamya Kesh Advanced Herbs Therapeutic Oil does exactly the same for you. 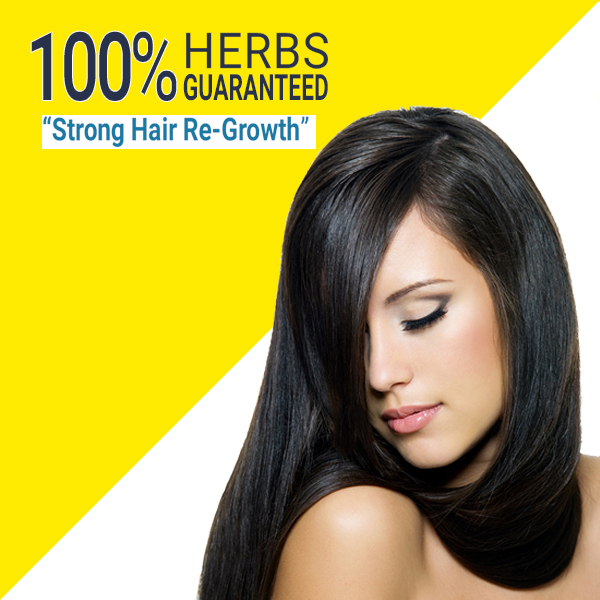 Have happier hair with Simply Herbal Kamya Kesh! 1) Apply oil gently over the scalp, rub and pat over the area where you feel hair loss is most and towards the length. Reason: Rubbing oil over scalp makes hair roots strong by absorbing oil better. 2) Massage it thoroughly for 15 minutes. Reason: Massaging improves blood flow rejuvenating hair follicles. Reason: This leads to complete absorption of oil and nutrition needed by hair roots. 4) Wash your hair with room temperature water. Use any shampoo as this oil is made in a way that chemicals in shampoos will not damage hair after using this oil. 5) Never use hard water to wash your hair. Use the water that you use to drink to wash your hair as it is more gentle on your hair. Reason: Hard water results in more hair loss. It weakens hair roots. 6) When using shampoo, just let a small amount of hair oil be on your scalp. Don’t clean it all. Reason: Applying a lot of shampoo damages hair and rubbing it on roots leads to weak roots. So use only little amount of shampoo to clean oil. 7) Never use hair dryer. Reason: Heat from hair dryer is damaging to hair root and hair length. 8) Do not use any other hair oil while using Kamya Kesh. 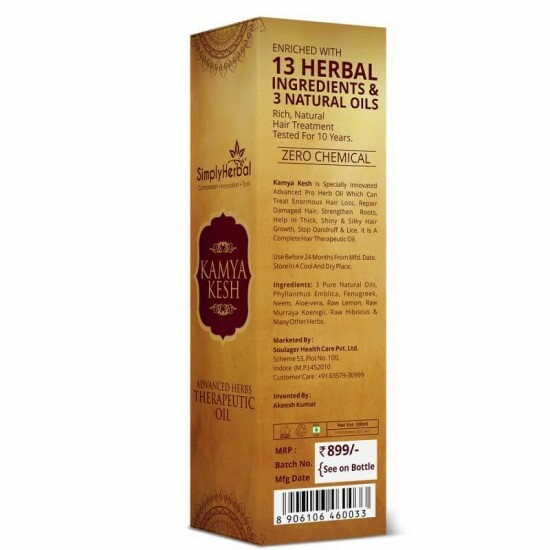 Reason: Kamya Kesh has 16 natural herbs, 3 pure natural oils and certain ingredients that work together to stop hair fall, dandruff and give you long, shiny, thick hair. Using other oils while using Kamya Kesh may lessen the potency and not work as intended. 9) Apply three times a week for maximum results. Reason: Maximum and quick results can be obtained by applying three times a week. You will start seeing results after just two uses.